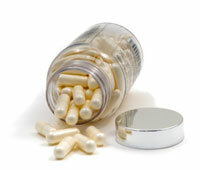 Hyaluronic acid is one of the most important antiaging supplements. This compound in the form of sodium hyaluronate has many benefits ranging from better skin tone to joint pain relief. As well, research done on osteoarthritis and Hyaluronic acid has yielded promising results for the treatment of this condition, and the alleviation of pain for other related inflammatory problems. Let’s take a look at this interesting substance! It is a viscous non-sulfated glycosaminoglycan that is present in the synovial fluid of joints, and provides a cushioning effect between the articulating surfaces of the joints. It is also found in epithelial and nerve tissue. It is involved in the hydration of the extra cellular matrix of connective tissue. In other words, it helps keep the joints lubricated and functioning smoothly. Lack of this substance is associated with joint pain and stiffness leading to lack of mobility. The levels of this substance diminish with age and also in osteoarthritis, where the viscosity or thickness of the synovial fluid found in your joints diminishes. This is a classic symptom of osteoarthritis. Osteoarthritis is a condition where chronic low-grade inflammation causes a degenerative process breaking down the synovial fluid and increasing the friction between surfaces of articular catilage. Levels of hyaluronate in the synovial fluid are diminished by osteoarthritis, leading to a drying out of the articular cartilage, causing pain and increased inflammation. Recent efforts to treat this condition have focused on the use of hyaluronate supplementation. This takes the form of sodium hyaluronate, which can be injected, directly into the joint, providing a cushioning effect for the cartilage, and also stimulating the healing process leading to reversal of cartilage deterioration. Recent treatment protocols that originated in veterinary medicine with horses involved oral supplementation of hyaluronate. This was found to be effective in the horses and was soon tested on humans in a clinical study where each patient in the experimental group was given 80mg of this substance and showed considerable improvement. The form used was derived from natural sources called “Hyal-Joint” proved to be more effective than the form made by bacterial synthesis, as it was better absorbed and actually stimulated the body’s own production of hyaluronate as well as relieving pain. So far the relevant research on osteoarthritis shows it to be an effective treatment for osteoarthritis and a good alternative to toxic anti-inflammatory drugs, which do not address the root causes of the arthritis. This substance is supplemented in both oral and injectable form. A qualified medical practitioner who is skilled at doing inter-articular injection gives the injections of sodium hyaluronate. This requires very precise technique and should not be attempted by non-medical persons. Hyaluronate must be given by a qualified medical practitioner in an interarticular injection that requires precise technique. The best formulation of hyaluronate will have a low molecular weight and thus be able to be absorbed orally through the small intestine. Also, the products that are extracted from a natural source are allegedly more bioavailable than that produced by bacterial synthesis. Hyal-Joint was the product used in the human clinical research on osteoarthritis and yielded positive results when tested in a double blind placebo controlled study. It showed relief of pain, increased mobility, and also increased production of the hyaluronate by the body in response to the supplementation. The oral form is available in liquid, tablets, or capsules. This provides a safe and convenient method of hyaluronate supplementation and has been shown to be effective in this form for reduction of joint pain and stimulation of the body’s own production of hyaluronate. For those of you who are suffering from arthritis, Hyaluronic acid formulations may just be the right approach for helping restore mobility, and alleviating the debilitating pain of osteoarthritis. Click this link to learn more about hyaluronic acid!